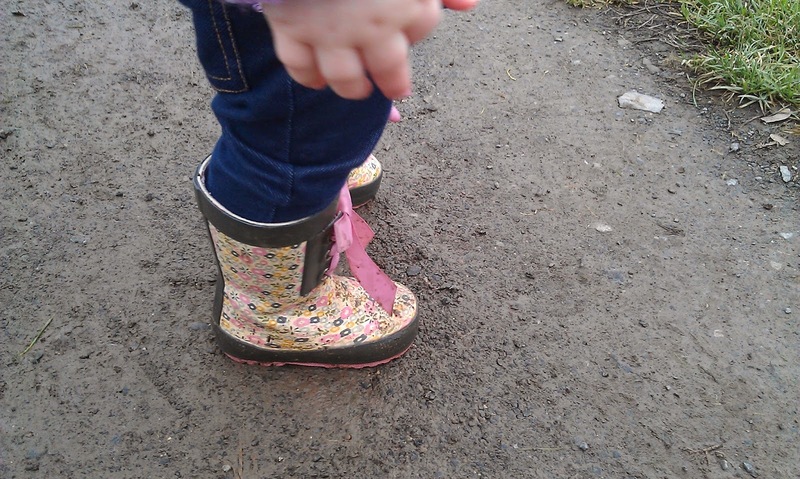 from a whisper to a roar: Jumping up and down in muddy puddles...! Jumping up and down in muddy puddles...! I wish I was naturally the kind of person that leapt at any opportunity to go and play outside. Unfortunately ... I'm not. I am a happy-at-home-reading-whilst-warming-my-bum-on-the-radiator type of person. 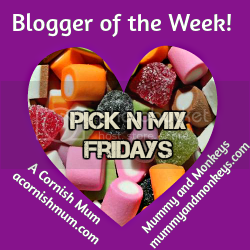 That is why I love the 'Outdoor kids' linky over at Coombe Mill, because such is my love for blogging (and linkys!) that I will drag myself outside in order to be able to join in. Anyway, the following pictures didn't happen recently. 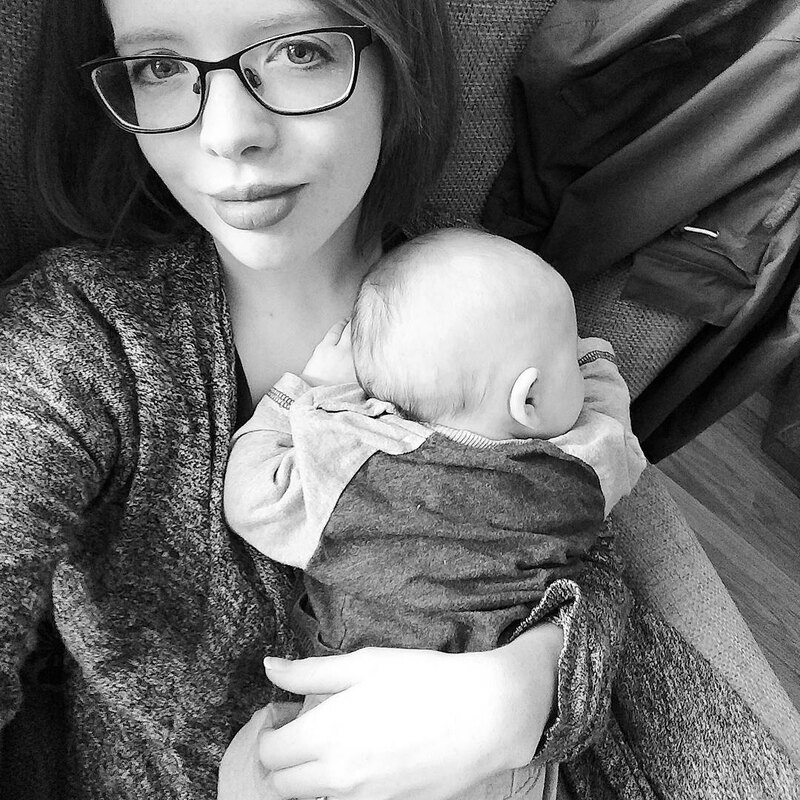 I have been in an advanced state of hibernation for the past couple of weeks, due to be broken today with an Amazing Outdoor Activity, but unfortunately, I am poorly, and am warming my bum on the radiator whilst feeding my daughter handfuls of Cheerios. Jellybean is utterly obsessed with Peppa Pig. Completely. Nothing will cause her to stop whatever she's doing and come racing into the room faster than a) the promise of food or b) the Peppa Pig theme tune. So when we were out and about a while back and I said 'Look! Can you jump up and down?' and she looked at me blankly, all I had to say was '...like Peppa!' and she instantly got it. It was a joy to clean up. ;) but still, the look of sheer excitement on her face at getting purposefully messy was worth it. 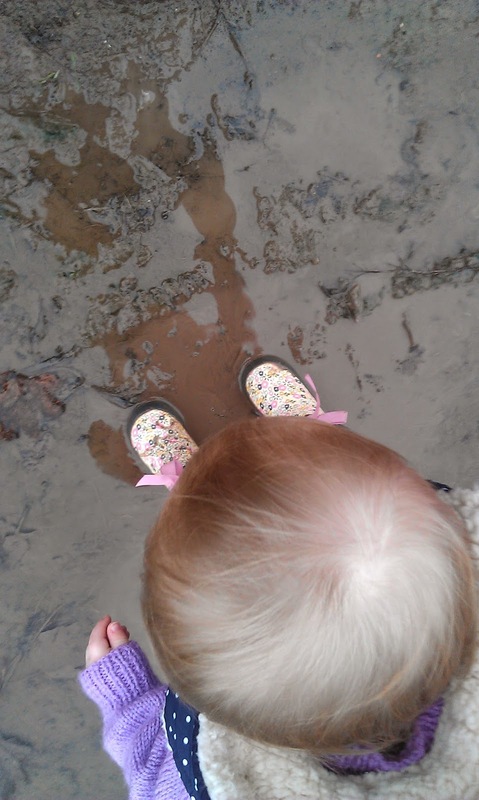 And as soon as the weather clears up and I stop feeling like my throat has knives in it, we'll be back out there again, puddle hunting. Mud is the perfect catalyst for some outdoor fun. 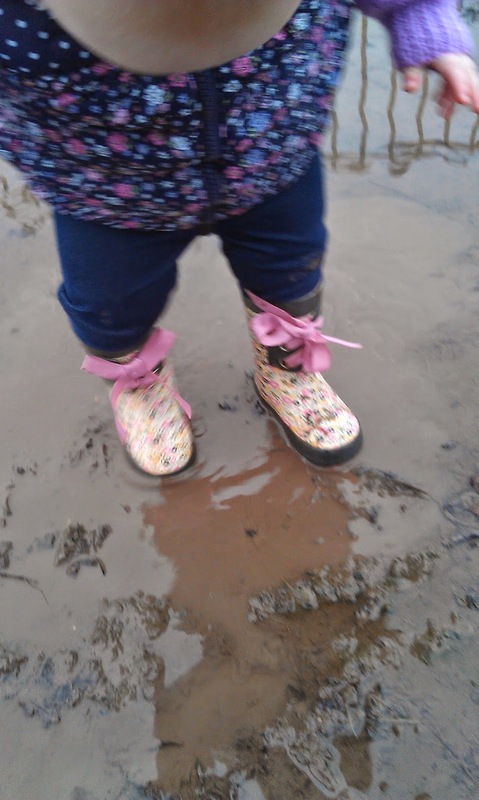 Even without Peppa Pig kids would still love to get outside and splash about in the muddy puddles. I hope you're feeling more up to it soon and you can get out and enjoy some fresh air, it'll help you feel more up to it as well. Thanks for linking up with Country Kids. I am soooooo like you! Country Kids inspires me to get outside and help make those wintery days a little more than cuddling by the fire. Great pictures and I am sure your little one enjoyed being Peppa Pig for a while!